IPVanish, the best VPN, if you are looking for streaming especially on Kodi. 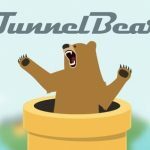 Affordable and featured-rich VPN service with strict zero log policy. 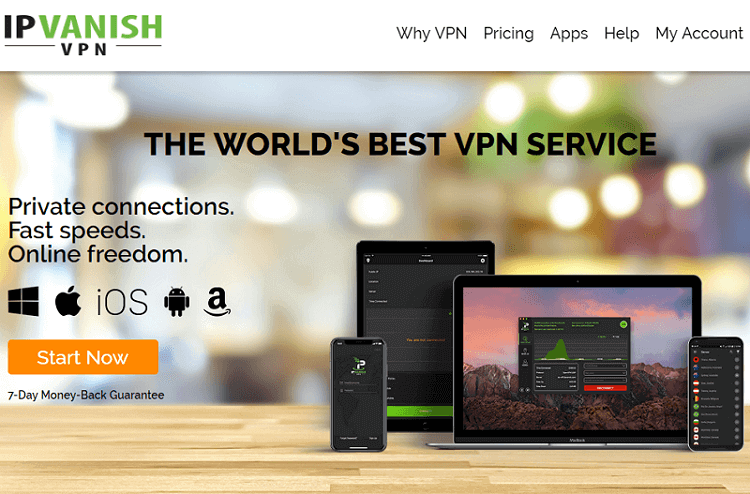 After conducting a detailed IPVanish VPN review, we have concluded that IPVanish is no doubt one of the tier-1 VPN provider with affordable pricing, better speed, secure connection, and competitive features. There are a few cons that we discovered in the service during our analysis. The biggest glitch is its presence. IPVanish VPN company is registered and operated from the USA. According to the Telecommunication laws of the USA, every company serving in the vicinity must follow the rule of recording and storing activity logs of users. Such information can be shared anytime when asked by the authorities. Although, IPVanish website stated clearly “strict zero log policy,” but the presence of the company makes it shady. The company is named as IPVanish, established back in 2012 by a team of experts with having 15 years of experience in the online security industry. We didn’t find more details about the company either on the website of IPVanish or via live chat service. So, let’s begin the analysis of all the features that IPVanish offers to its customers. IPVanish is not a miser when it comes to offering best services. Along with the basic features, IPVanish service is packed with some extra-ordinary features as well. 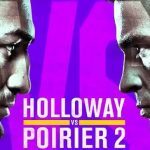 Below, we will provide the complete details of all the features and also provide you the final verdict if the feature is one of the pros or cons for you. IPVanish’s tier-1 VPN network makes it the number 1 choice for many. In the industry where most of the VPN providers taking support from third parties to establish their VPN network, IPVanish owns its full-flagged VPN network of thousands of servers spread across the seven continent. This is one of the biggest pros of IPVanish services that brings competitive advantage to the provider. Our Verdict: We rated IPVanish 4.5 out of 5 for global VPN network. IPVanish offers 256-bit AES encryption to keep your data safe and secure from prying eyes. This is the same standard encryption used by the USA government to protect confidential data. Our Verdict: We rated IPVanish VPN 4 out of 5 for encryption as it is according to the average standard of the VPN industry, and 3 out of 5 for protocols, as they have less number of options. Average rating is 3.5. The provider offers one of the most affordable pricing plan which makes it even more attractive for users. You can check the IPVanish prices on their website. Let’s review the pricing and payment options. IPVanish has three plans categorized on time durations. Original plan costs you $11.99 which is at a higher side compared to most VPN providers in the industry. At the moment we are reviewing the service, IPVanish is running its New Year promotion of a 17% discount on a monthly plan, which makes it $10/month. There are no limitations applied on speed, data transfer limit or number of servers compare to other plans. When it comes to the monthly plan, IPVanish loses the attraction and become one of the costly VPN services. If we accumulate 11.99 per month and add up for three months, it will cost you $35.97. But IPVanish actual three months plan costs you $26.99 which means it will cost you $8.99/month. There’s no promotion or discount applied on this plan as of today. If you pay monthly to IPVanish for a year, it will cost you $143.88. But if you buy the yearly plan and pay upfront for 12 months altogether, it will cost you $77.99. It means you will be paying $6.49/moth. The annual plan makes IPVanish affordable for internet users only if they are willing to invest for long term. Adding $11.99 for 24 months will make it $287.79. But on the occasion of New Year 2019, IPVanish is offering a new plan of 2 years for just only $89.99. It means you will cost $3.74/month. This is one of the most attractive plans available only until the 1st Jan 2019. What are the Payment options available for IPVanish? IPVanish offers the following payment options to its users for payments. IPVanish offers many payment plans that are feasible for many living in different regions of the world. Unfortunately, IPVanish fails to offer BitCoin or any Cryptocurrency as a payment method. Thus, IPVanish VPN fails to provide complete anonymity by not integrating the must-have anonymous payment options. Does IPVanish VPN offer a free trial or Free Plan? IPVanish does not offer a free trial or free service. It provides seven days money back guarantee. There is no clear refund policy mentioned on the website. Final Verdict: For pricing plan, if we exclude monthly plan then IPVanish becomes more affordable for the internet users, but since the monthly plan is the part of the pricing section and cannot be ignored, therefore, we rated IPVanish 3 out of 5 for pricing. For payment options, since BitCoin is not available, we rated 3 out of 5 which makes the average rating 3 out of 5. If you buy IPVanish VPN service, you will be happy as it supports a most extensive range of devices and OS. Let’s check out the list of all supported devices and OS. Our Verdict: We rated IPVanish 5 out of 5 when it comes to compatibility. Ten simultaneous logins – IPVanish is among the very few providers that offer more than two multi-logins. IPVanish offers ten concurrent logins with every account. It means the single account is enough to protect your entire house. 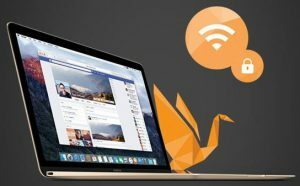 Unlimited P2P File sharing – Most VPN providers do not offer unlimited P2P file sharing or limit it to specific bandwidth only. This is not the case with IPVanish. NAT Firewall Protection – By applying this feature at the VPN server end, a VPN provider ensures a superior level of security for its client. IPVanish is one of those VPN providers that offer the same feature. Like most of the VPN providers in the industry, IPVanish also offers 24/7 live chat support. During our IPVanish VPN review, we contacted the chat support numerous times. Unfortunately, we didn’t find the chat support up to the mark. First, the agents were busy, and we have to wait long to get the assistance. Second, the answers were more robotic. We talked to the agent name “RUTH.” It took the agent to answer simple questions longer time than expected. Our Verdict: We rated customer chat service 4 out of 5 based on our experience. 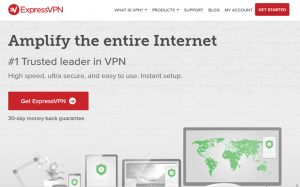 Conclusion – Is IPVanish VPN a Better Choice? As mentioned earlier, IPVanish is without a doubt tier-1 VPN provider with fully-owned VPN network. But the geographic location of its existence is a question mark. Apart from all the features, IPVanish wins the hearts with ten multi-logins. It is a reliable and fast VPN service but lack on payment options like BitCoin. It has better support for OS and devices, but same time it is not good enough to provide live chat support. 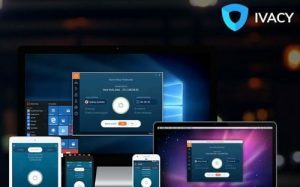 We rated the IPVanish VPN service 4.5 out of 5 and suggested that if you are a privacy or security seeker, you should look for the alternatives. 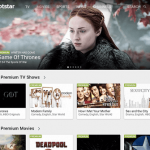 But if you are a streamer or spent most of your online time in P2P file sharing, then it is a perfect match for your needs.